The year is 1946. 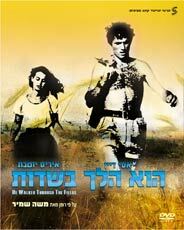 When Uri (Assi Dayan) returns home to his Kibbutz after 2 years at college, he finds his father has joined the British army and his mother is with another man. "He Walked Through Fields" paints a larger-than-life portrait of the new generation of native Israelis, the heroic "Sabra."